THE TOY DOLLS - TWENTY TWO TUNES LIVE FROM TOKYO RE-ISSUE (DIGI) | Online Shop | Wizard LTD. Album: "TWENTY TWO TUNES LIVE FROM TOKYO RE-ISSUE (DIGI)"
This release does exactly what it says on the tin! 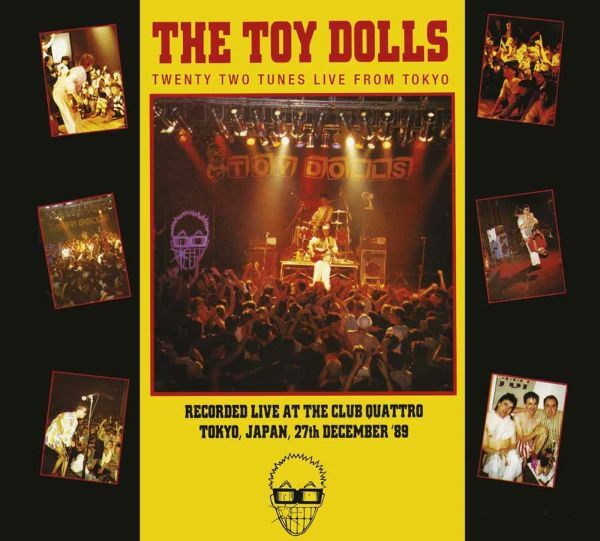 "Twenty two tunes live from Tokyo" was recorded by punk legends TOY DOLLS at Club Quattro in Tokyo on the 27th of December 1989.